It’s our pleasure to announce, that Piwik PRO will take part in this year’s edition of dmexco in Cologne, Germany. On the 13th and 14th of September innovators and disruptors of digital economics will gather at the Kölnermesse to elaborate on the newest trends in digital economy. The event is divided into two main parts: expo and conference. Over 1000 brands are presenting their products at the expo, and more than 570 international speakers will share their knowlegde on stage. 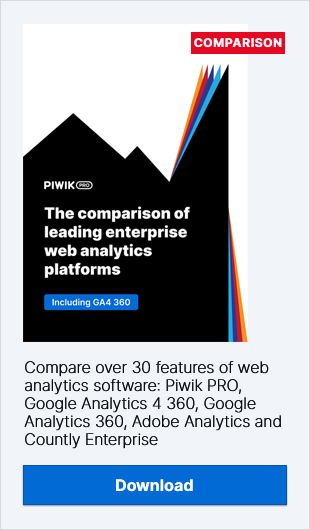 Our team will be proudly presenting the newest features of our products and also the recently released Piwik PRO Analytics Suite. Our experts will also talk about upcoming features and integrations. Curious already? If you want to know more about how GDPR will affect your web analytics and marketing efforts, swing by and we’ll answer your questions as best as we can. We’ve added a map below to help you find us during the event. We are located in hall number 9 at stand B-020. Don’t miss out on this occasion! Talk to one of our experts during dmexco. Let's meet at dmexco 2017! Tickets are available on dmexco’s official website!